I have been meaning to blog about this for a while – the old spice adverts (link) and their effect. Almost everyone has seen and talked about the Old Spice adverts on YouTube (if you were holidaying this summer – look here), and the clever way that he created YouTube answers to questions received via Twitter (look here). A fantastic ad campaign, with several nice touches. Well, not surprisingly, it has been a success, and sales of Old Spice have doubled (link). Not only that, an old-fashioned brand has been modernised and revitalised. This advert has got me thinking about what it triggers in viewers, and its applicability outside of aftershave. Firstly, it links to our emotions through several hooks – immediate reactions to his good looks, emotional reaction to humour, and also its appeal to the intellectual side (thats cleverly done). In addition to this, it differentiates itself through its weirdness (Not many adverts end with “Silver Fish Hand Catch”). The appeal to visceral, learned and intellectual experiences covers three out of four (only missing idealistic) of the base pillars of customer experiences. Thinking some more, I realised that this advert could have sold almost anything – old spice did of course fit the bill. But I think he could even have sold insurance. The advert could have created a coolness, even for insurance – get insurance from X and be like me. Don’t believe me? Well, I was unsure at first, but then thought about Compare the Meerkat in the UK. 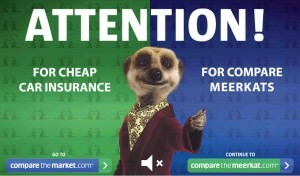 A memorable series of adverts for an insurance price-comparison site, with spoof websites (link) and videos (link), linking a cheeky Meerkat to compare the market for car insurance. This post is to salute those people who made the right choices when creating campaigns that give experiential effects like this. I can imagine the response when somebody suggested using a meerkat to sell insurance during a project meeting! If you have something that appeals and differentiates, together with a certain degree of wackiness, then you have the ingredients of innovation. 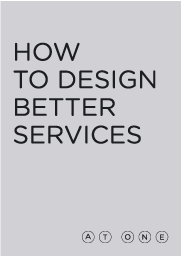 How many times do innovative ideas get shot down, precisely because of this?